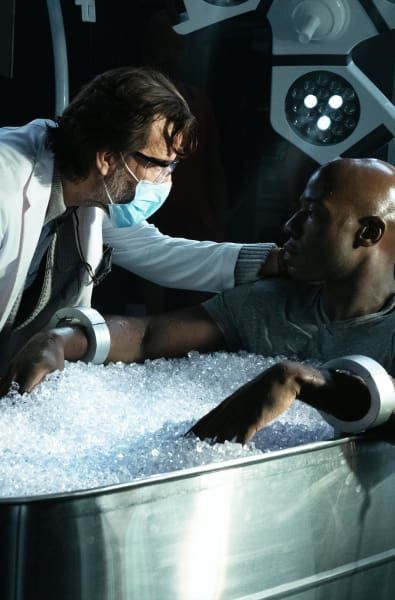 The Passage Season 1 Episode 4 Review: Whose Blood is That? That was the most well-rounded installment of The Passage to date, and not a single scene was a waste. 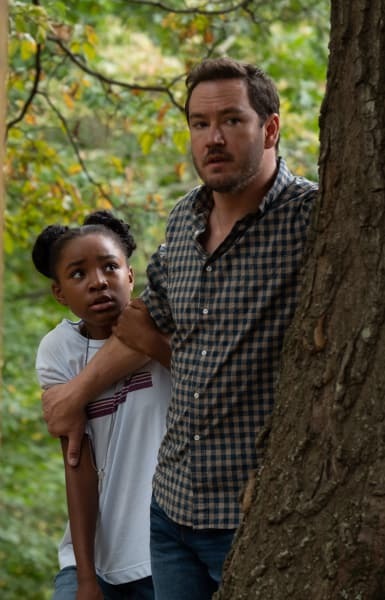 The Passage Season 1 Episode 4 featured shocking twists, deadly scenarios and one hell of a cliffhanger that's going to leave me biting my nails until the next episode. The strongest aspect of this series is that it's making the backstories just as engaging as the events that are playing out in the present. Far too often, shows alienate their audiences when they go the flashback route, but every time I expected to be disappointed, this series delivers. I wasn't surprised in the slightest that Anthony was innocent, but it's heartbreaking that he thought there was no point in defending himself because of what happened. Rachel had her fair share of issues, and given the way she entered his life like a hurricane, it was obvious she was running from something. Her mood was all over the shop, and every single thing she did was tactical to reel him in. Her lashing out about the house she went ahead and agreed to flip without consulting Anthony highlighted that very well. She was manipulating Anthony from the get-go. She wasn't honest about anything, and I'm not even sure her love for him was real. What hurt the most about this storyline was that Rachel was the one to push Anthony to love. Their first meeting was bizarre, but that should have been enough for Anthony to realize there was something off with her. Maybe Anthony was blinded by the fact that Rachel appeared in his home, picking out all the flaws in it. In hindsight, her approach was not entirely flawed because she got Anthony right where she wanted him. At this stage, it doesn't even matter whether Carter is vindicated because he's already joined Fanning and the band of vampires that are gearing up to lay waste to the human race. I was unsure whether Anthony was going to pull through in any capacity. New shows love to set a tone, and having Anthony die would have worked to prove that nobody is safe. Then again, he's such an intriguing character that I want to see how it all plays out for him. Will he allow Fanning to call the shots, or will he want to make some decisions for himself? What we do know is that Fanning and Babcock want Brad well and truly away from all the action. He poses a considerable threat to Project Noah. I would go as far as saying Brad's a bigger threat than what Randy was. Everything that went down with Randy was equally as exciting. The man wanted the world to know what was going on behind closed doors, and who wouldn't in this scenario? It was obvious he was going to be killed. As if Clark was going to let the agent away with opening fire on just about everyone outside. Randy had loose lips, and he was surprised that Brad knew about what was going on. That's why he had to die. It seemed like we were getting some progression for them, but then Clark had to flip out because he thought Brad was not as trustworthy as he thought he was. 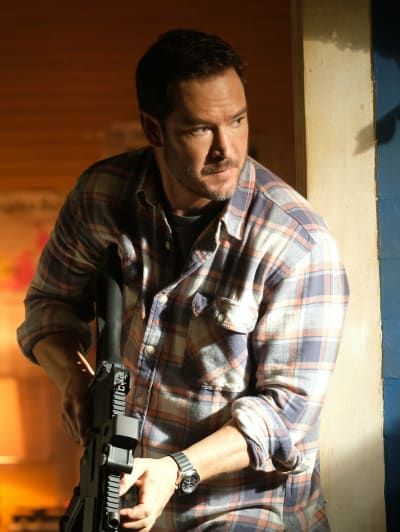 I dare say that Clark pulling the trigger was a build up of everything that was going on around him. He had Shauna complaining to him, Nichole quizzing him, and then Project Noah being potentially revealed to the public. Oh yes, Nichole is on to Clark, and it's about time. There's a possibility now that Nichole could find a way to get rid of Shauna all on her own. Nichole is not dumb, she knows there's something amiss here, and she's not going to rest until she finds out everything there is to know about her boyfriend's connection to the mystery vampire. The final scene with Jonas having the blood on him was the biggest shocker. Could we really be losing Jonas this soon? 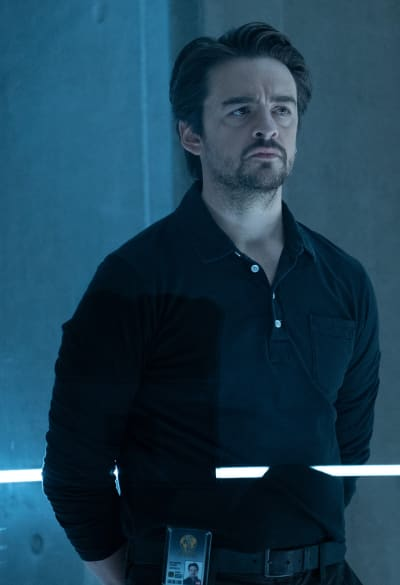 Henry Ian Cusack is still a series regular on The CW's The 100, so it's possible that he was only attached to appear in a handful of episodes. It will undoubtedly change the dynamics if Jonas dies. It would probably give Nichole free reign to do as she pleases, and I'm not sure that's going to be a good thing. As for the story about the missing death row inmates, it was obvious that was going to be nixed before it made its way to the air. I didn't expect Sierra to die. 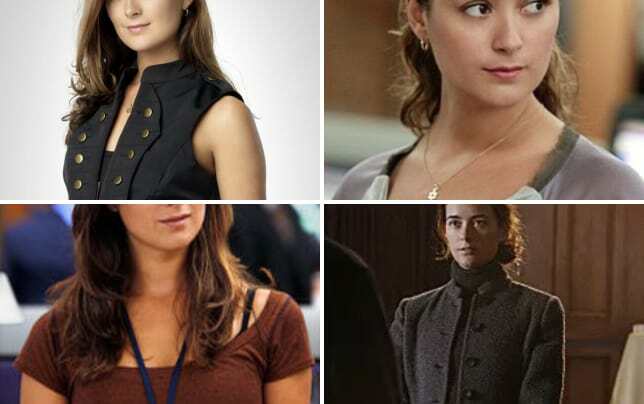 I thought she was working with Project Noah more than anything, but if this twist proved anything, it's that Lila and Lacey need to hit the road and figure out their next big plan. The people who killed Sierra are going to be following these two, and watching their every move. Lacey will be a great bodyguard for Lila, but it just takes one thing to go wrong for a life to be lost. This show is killing it on a weekly basis. I never expected to like it as much as I do, but the writing, acting and directing elevate it above most of the other broadcast dramas. Will Jonas die? Did you like the deep dive into Anthony's past? What will Lila and Lacey do next? 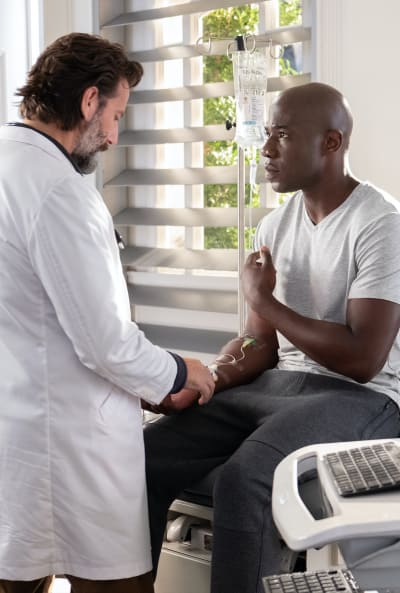 Remember you can watch The Passage online right here via TV Fanatic. The Passage continues Mondays at 9/8c on Fox. I think we're witnessing an evolution. We need to defend ourselves. Permalink: I think we're witnessing an evolution. We need to defend ourselves. Clark: If trouble comes, I'll handle it. Permalink: If trouble comes, I'll handle it. 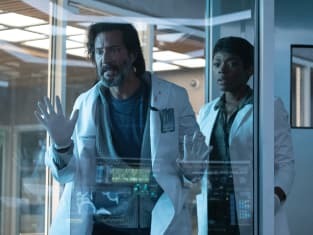 The Passage Review: Whose Blood is That?